So very glad to see you’re back! I missed you! Thanks for those kind words. It is nice to be welcomed! Great post. 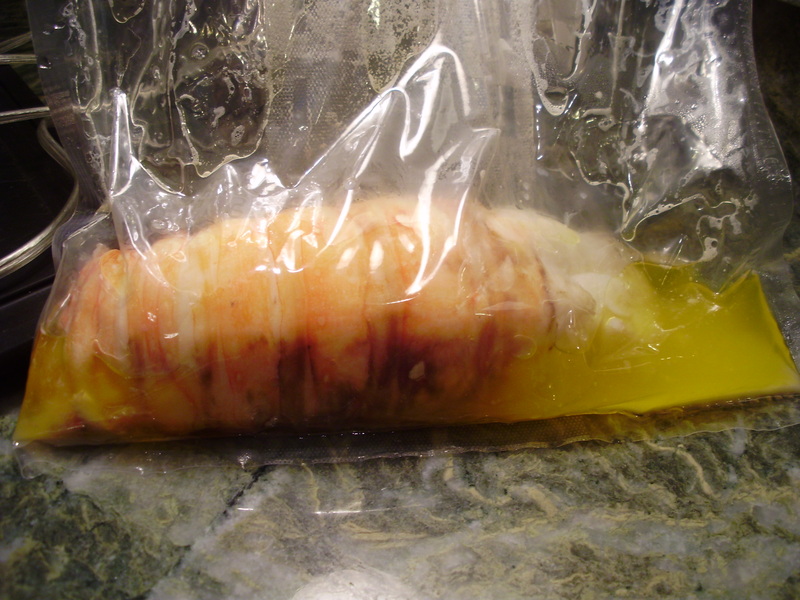 I’m going to have to try the lobster sous vide, now. And glad you’re feeling better, too! I also am a woman without a gall bladder. It was discovered when pregnant with my first child. I had stones the size of pin heads that escaped through my duodenum and cause great havoc with my body… back seizures. Chest Seizures. Pain indescribable. I suppose now they could dissolve them. Then, I had it removed. The scar is still massive. I am surprised lobster affected it… but, boy oh boy does this lobster look fantastic. I love all kinds of confit -and I guess this is the same concept… but, instead of cooked low and slow in its own fat, it would be butter. But, yes, fresh would be best – and on the Alberta prairies – when I buy a fresh one, I can already tell it is brain damaged. 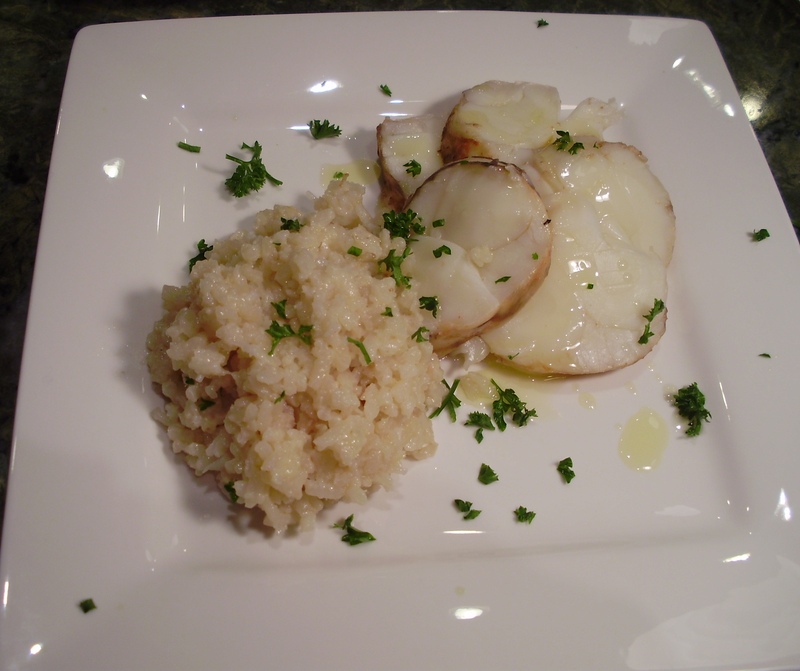 However, I will make this anyway – and Valentine’s Day sounds like the day to me! I have not used my machine in a while. I have been ill, too -but, hopefully, back at it. SO happy you got a subscribe by mail. I am so in! Hi Valerie, great to hear from you. 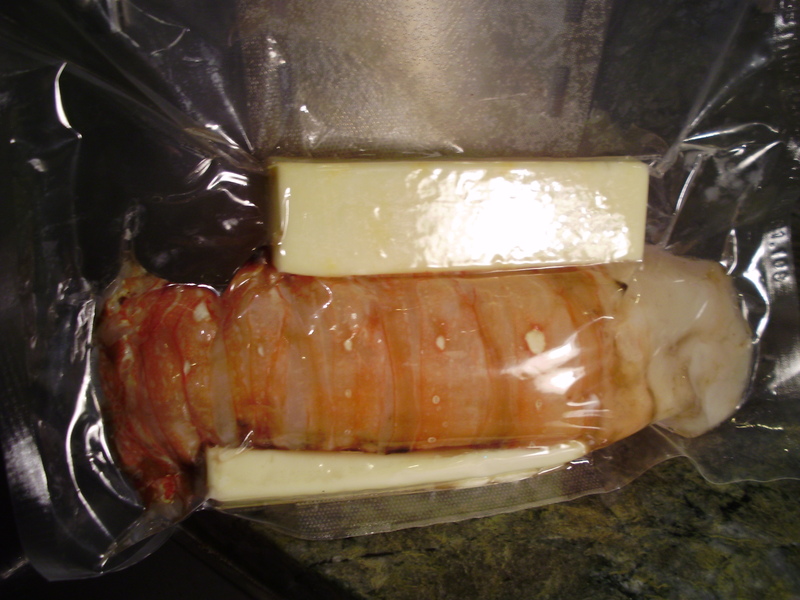 When you make the lobster, be sure to vary the cooking time by how thick the meat is. 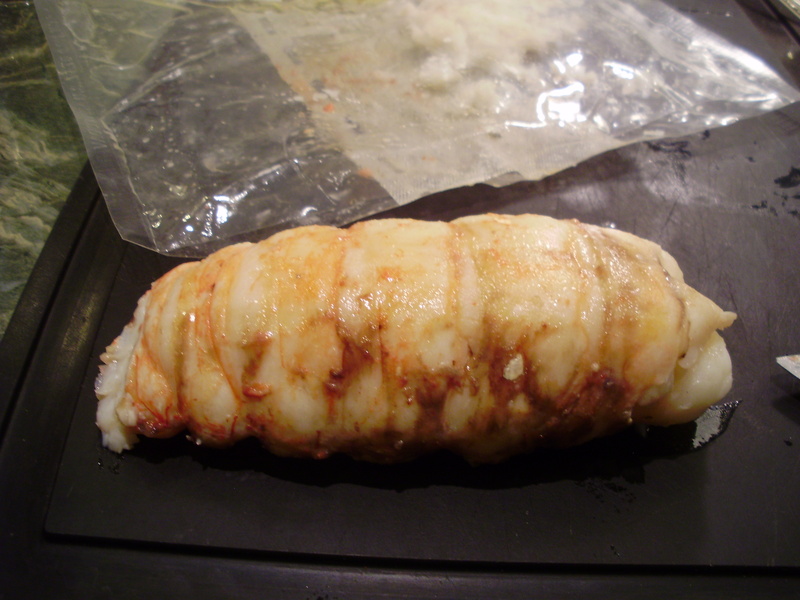 Smaller lobster tails will require much less time. See egullet and Doug Baldwin for variations on time and temp. Some people do it at 59 or 60 C for much less time. I have another friend who did it and absolutely hated it – he gave up after several tries. I find that in general fish is tough – it is so variable from species to species – and I suspect that lobster is the same. So, please keep me posted on your experience with your lobster. Take care! AH – you’ve written nothing since August – I see you have been ill – but didn’t realize it had been a 4 month hiatus! Welcome back, glad to see you have pushed forward and returned. All the Best in your travels. Your doctors are idiots. My doctor had my gall bladder examined using ultrasound when I developed symptoms like yours, but worse as I was doubled over with pain and dry heaving for hours, and found cholesterol gall stones. Medication over a six month period disolved the stones. If the stones are of the other type, simple endoscopic surgery to remove the gall bladder takes care of the problem. I post this in case others are suffering from similar symptoms. Thanks Christopher. But I must disagree. My doctors weren’t the idiots – I was. I always waited too long, after the stone had passed, and so the symptoms did not show! The diseased organ was removed laproscopically – a very simply procedure with very little pain. It is good to let people know they should not be fearful of this problem as it is pretty easy to remedy. I was the foolish chicken!